After much thought and reflections on the previous theme, Wild Animals, I decided to set-up a diorama. It took me a week to finalise the design and research on the individual polar animals I am going to focus on. 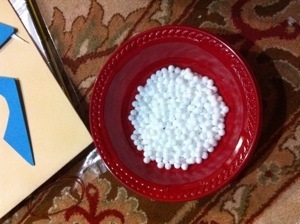 I have been wanting to use the foam beads that my sister gave me for the longest time. Alhamdulillah!! I finally manage to use them with glue no less. During the week, I did the clouds and mountains with him. 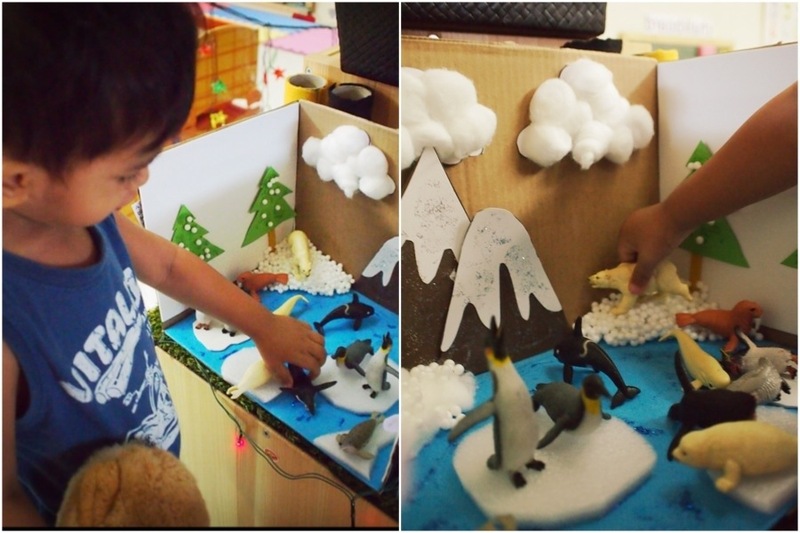 I thought it would be more meaningful for him when he sees his hardwork a part of the diorama. At the very last hour if research, I realized that some polar animals, like the arctic fox and hare, live in arctic forests! So did a quick googling and found that an arctic forest has lots of pine trees. I was super excited because I found colored ice-cream sticks lying around and decided it was perfect to use them as part of the diorama. 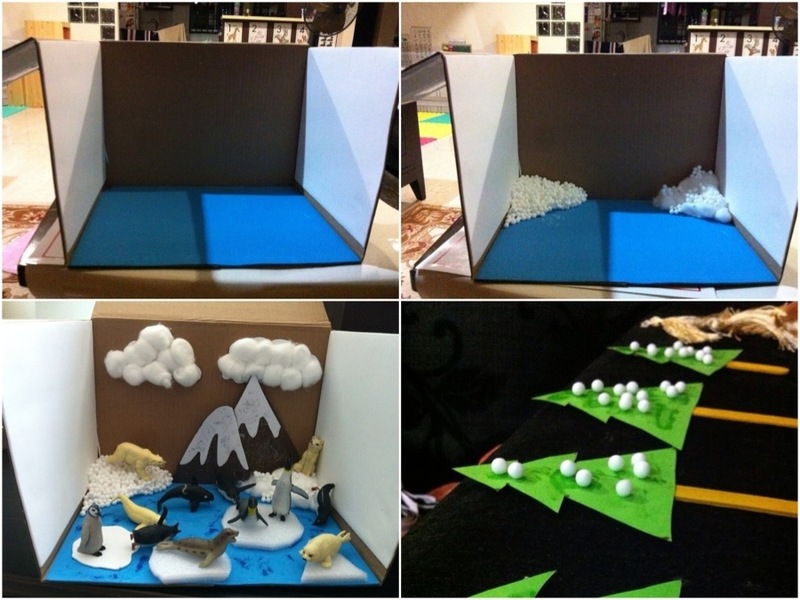 I love the fact that my diorama has lots of texture to it. 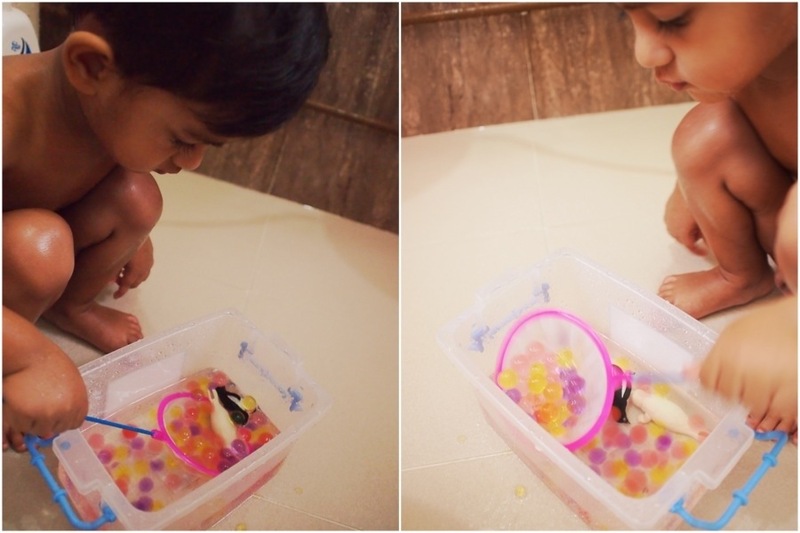 It will provide him with lots of sensory experiences through the display alone. 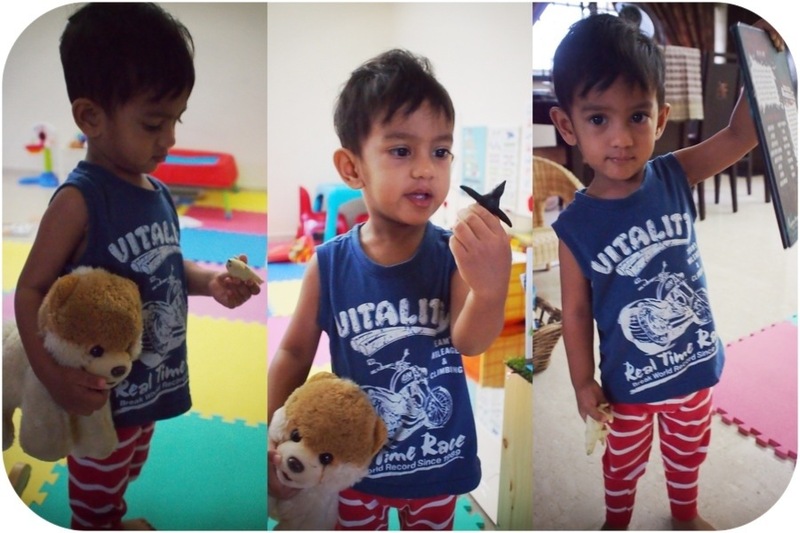 Umar pointing the polar bear toob toy to the cue card. Information is available on the reverse side of the cue cards. The cards act as cue cards for me to talk about the individual animals. This decision is based on the previous theme in which I realized he is more fond of me narrating it rather than reading off a book. When he woke up during the morning of eid, I jumped out of bed too because I was anticipating his reaction the whole night. I must say that it exceeds my expectations. He started touching it and picked up the polar bear and went “zoooo”. 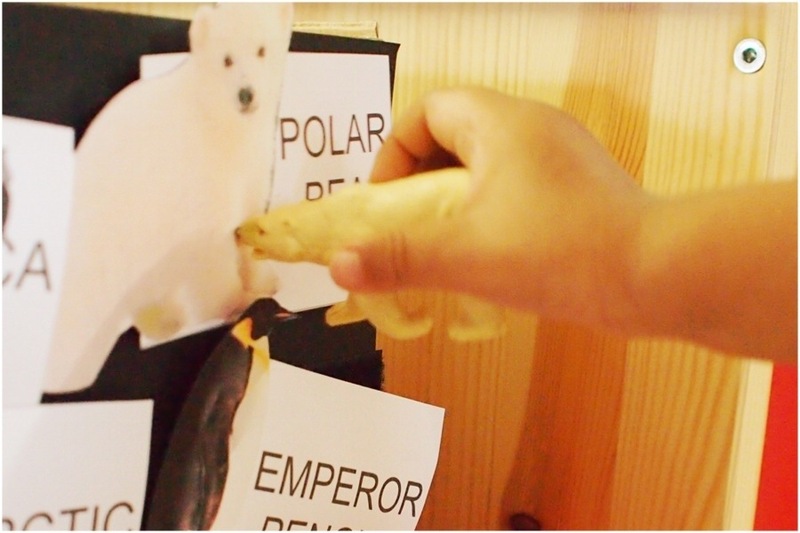 Soon after, he matched the polar bear with one of the cue cards at the side. 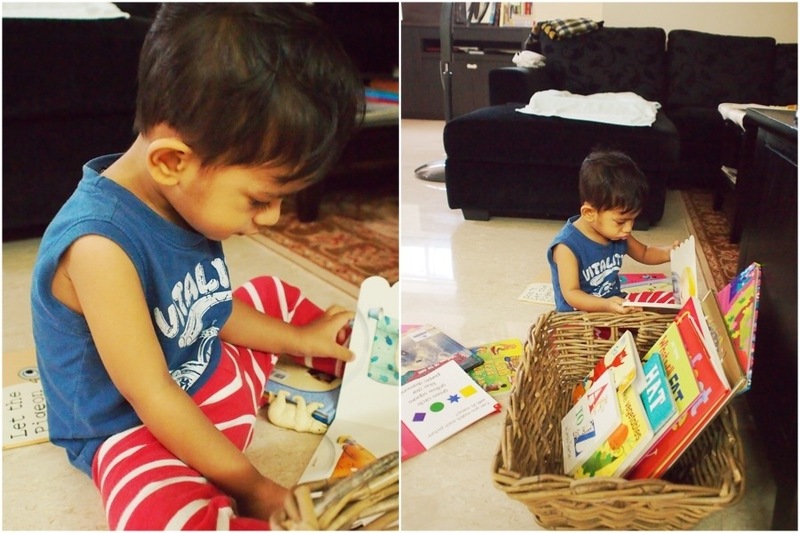 Umar reading on his own. I am glad that the theme started out on a happy note and I hope I am able to sustain his interests towards Polar Animals.